Your card is live and ready to use at your local pharmacy, but you're just a few steps away from gaining access to other features like refill reminders, medication tracking and more when you complete your registration. 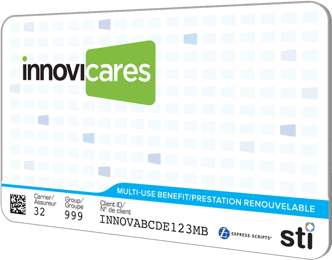 InnoviCares is a program operated by STI Technologies Limited, a completely independent Canadian company that offers free financial assistance for many brand-name medications and healthcare products, including CRESTOR®. Our main goal: to help you afford to start — or stay — on the medication and therapies prescribed by your healthcare team. InnoviCares works in conjunction with your private or public health plans and is accepted at 98% of Canadian pharmacies. Why is this program offered at no cost to me? AstraZeneca Canada, the manufacturer of CRESTOR®, has committed to fund this patient benefit through a partnership with innoviCares. Why? Because we believe that cost shouldn’t be a barrier between you and the medications your healthcare team has prescribed for you. What does innoviCares cover for CRESTOR®? Your innoviCares card will cover a portion of the cost of a prescription for brand-name CRESTOR® so that you can access CRESTOR®at a similar price to the generic rosuvastatin calcium. The card will cover customary mark up and dispensing fees to a maximum amount based on a provincial estimate. 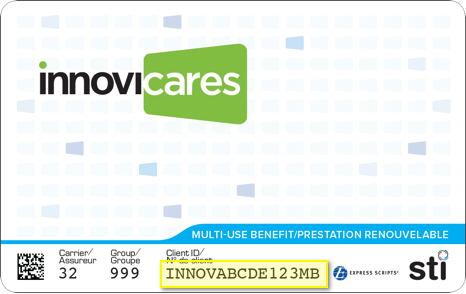 Present your innoviCares card to your pharmacist when you fill your prescription. The benefits associated with your product will be automatically applied. Don’t forget to ask for brand-name CRESTOR®. †Terms may vary by province and over time, and can end at the manufacturer’s discretion. CRESTOR® is a registered trademark of IPR Pharmaceuticals Inc., used with permission.